Nutmeg Oil (Indonesia) - Ultra International B.V.Ultra International B.V.
Nutmeg Oil Indonesia Myristica fragrans Houtt. 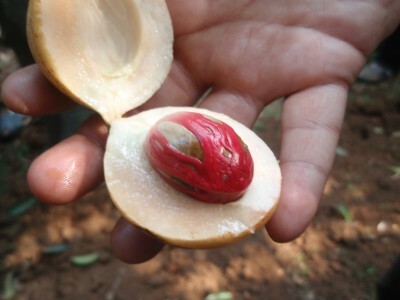 The nutmeg tree, Myristica fragrans is indigenous to the Moluccas, Indonesia. The fruit contains a nut, which is covered by a hard shell. A red coloured webbing (known as mace) covers the shell. Once ripe the fruit will open revealing the mace and will fall to the ground to be collected or it can be picked just before falling. The mace will be carefully removed leaving the nutmeg (nut) available to be ground and processed. The oil is extracted from the 'nut' by steam distillation after the grinding of the nutmeg. The nutmeg is slightly sweeter than mace making the dry or ground spice a favourite in many culinary dishes. As an essential oil it is extensively used in perfumery and pharmaceuticals as well as a natural flavouring for baked goods, beverages, syrups and sweets. 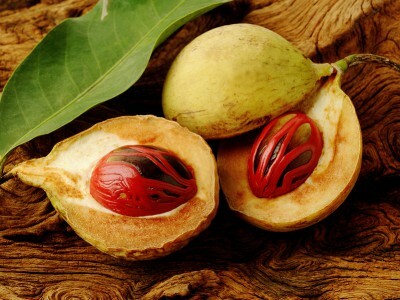 Indonesia exports around 350-400MT of nutmeg oil each year which accounts for around 80% of the global production. Today the product is predominately plantation harvested. Read more about the impact of recent plantations in our latest Elementary Report. 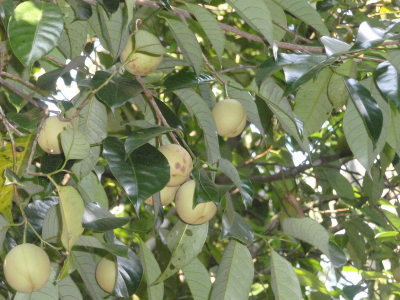 Botanical name: Myristica fragrans Houtt. Organoleptic Properties: Spicy woody nutmeg powdery terpene. Chemical constituents: Pinene, Sabinene, Limonene, Eugenol, Geraniol, Terpenene, Terpineol, Myristicin, Safrol. Currently, nutmeg stands on a firm footing, as it has for some time now. No significant upheavals are anticipated in the short term since the supply and demand equation seems to be balanced with universally accepted price levels. In keeping with past trends, the volume of production in Sumatra is higher than in Java. Considering that there are limited major buyers, and a stable demand for the product, no price vacillation is predicted. In addition to the above, the attraction for the “Safrole free” variant of nutmeg oil is gaining momentum among practitioners of conventional and aromatherapy wellness. Market players are looking at this variant as a growth area, and a driver for volumes in the coming years.